October 5, 2017 (Tulsa, Okla.) Philbrook Museum of Art opens Museum Confidential to the public Saturday, October 14, 2017. This groundbreaking exhibition turns Philbrook inside out, revealing practices, stories, and an unprecedented number of never-before-seen works of art. This innovative exhibition format allows Philbrook Director (and Museum Confidential curator) Scott Stulen the opportunity to present a unique, behind-the-scenes experience that illuminates the inner workings of museums, collections and their workers. Exclusive to Philbrook, this show will run through May 6, 2018. This Philbrook-originated exhibition explores how museums work from the inside out through four participatory sections. Every work of art has a story. Often that story that extends beyond the subject of the work itself. Through Museum Mysteries, visitors join Team Philbrook to investigate and discover the stories, history, and complicated issues behind works from the collection. The average museum typically shows 5% or less of its collection at any given time. The Other 95% reveals hundreds of rarely or never-before-seen items from Philbrook storage through a large-scale, salon-style presentation, including pieces from the Phillips family, design objects, and dozens of paintings and prints. Curating is about making choices. In DIY Exhibition, you will learn the considerations curators weigh and make your own choices to create a unique exhibition. See what it takes to be a museum curator. There is no art without artists. Resident artist Andy DuCett takes over a section of the gallery with a site-specific installation titled, At the Intersection of Everywhere, playfully illustrating the ongoing relationship between museums and artists. The installation features a working motel lobby, research library, and installations focused on the everyday objects we collect and cherish. A nearby portion of the gallery will offer insight into the artist’s process by presenting preparatory sketches, photographs, and ephemera from DuCett’s Minneapolis studio. 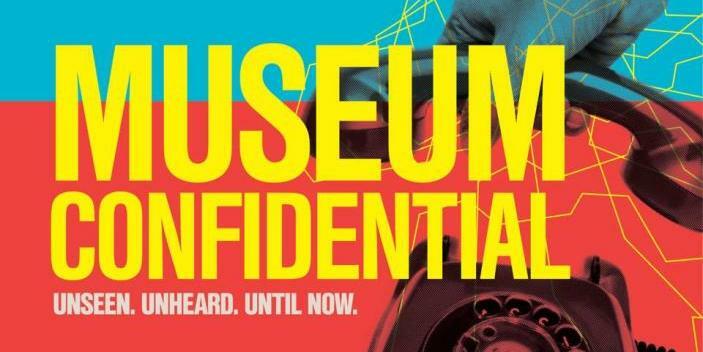 Museum Confidential will also feature dozens of scheduled and pop-up programs throughout the run of the show, from an evening with hit NPR show, Invisibilia to Tattoo Roulette when guests can get an artist-designed tattoo. Visitors can chat via Skype with museums around the world, take irreverent gallery tours and learn about the ongoing care of the collection and Villa. Every guest will receive an experience punch card, which can unlock access to exclusive experiences, based on frequent visitation. And with the new Philbrook Fridays platform, every weekend starts with late night events and programs at the Museum. Location: Philbrook Museum of Art, Tulsa, Okla., U.S.A.